Mrs. Margie Marie (Hughes) Brigman, the daughter of the late Reynolds Hughes and Mary Catherine Hughes, was born on July 22, 1939 in Marion County and she entered into eternal rest on August 25, 2018 after suffering from an ongoing illness in her home surrounded by her family. Preceded in death are her parents, Reynolds and Mary Catherine Hughes; brother, Joe Lewis Hughes; and 2 sisters, Jessie Mae Richardson and Mary Elizabeth "Relly" Weathers. Margie attended Palmetto High School in Mullins, SC. Margie was united in holy matrimony to Marine, Mr. Deleon Brigman on June 4, 1958. She worked for several years in the manufacturing industry until she became a housewife while her husband traveled with the military. Margie is survived by her husband of 60 years and her 7 beautiful children: Iris Fryson (Tony) of Seattle, WA, Sharon Payne (Alvin) of Simpsonville, SC, Tara Brigman of Mullins, SC, Lynette Hanner (Cleveland) of Marion, SC, Terri Hayes (Ralph) of Mullins, SC, Keith Brigman (Kisha) of Mullins, SC and Renita Jacobs (James) of Dillon, SC; 15 grandchildren and 27 great-grandchildren. 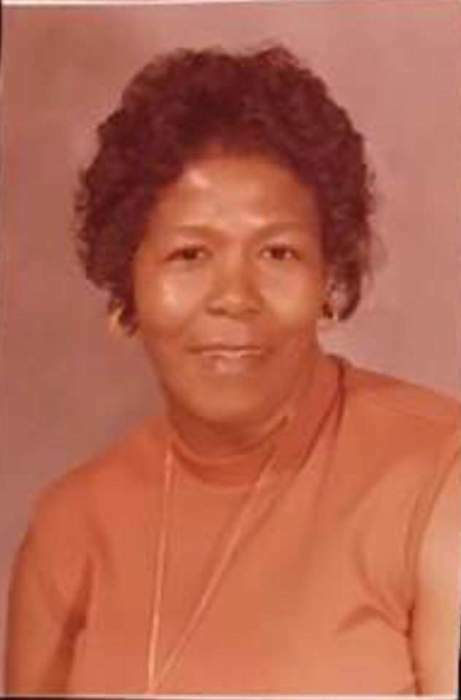 She is also survived by her sisters-in-law: Lillie Bell, Jennette Hollis and Agnes Davis Hughes; cousins: Pauline Godbold, William Yates, Brenda Campbell, Jimmy Campbell Junior, Janice Tomlin and Willena Baker and a host of nieces, nephews, cousins, other relatives and special friends whom she cherished. She loved her family and friends so very much, as they were her entire world. She loved to spend time with them and make new memories.